Have you heard about the new homework system? When I was young, I went home and quietly did my homework in our family room. I guess I was naive to think that students still did this. Perhaps some do. Yet, many don’t…at least those I have spoken with recently. My students informed me this week that they often do their homework using Houseparty – a group video chat app. I can see the benefits and dangers of this. Students receive a notification as soon as a friend is on. They can have up to 8 on at a time as a private or group chat. “Where this opens up an entire new circle of communication and online safety is that if one person in the chat happens to be connected to a user and the others are not friends, those connections are still able to join the conversation because of the mutual connection. Which means that kids who do not know each other have the opportunity to be chatting with people they do not know. Also of concern, is the ability to take a screenshot of the people you are chatting with, without them knowing about it “(SociallySafe, 2016 quoted from this site). The benefits may be collaboration. It’s great that kids can help each other and collaborate easily on projects. The problem may also be cheating. Last year, simply texting was a problem. I found that students would take screenshots of their finished work and text it to friends so that they would all have the answers. Now, students can just video chat and share the work. There is no evidence of a photo left on the phone. My concerns are many – so many I can’t write it all down in a blog post. Parents may want to consider a parental control app. Check out this post to read about ways to track what kids are doing. Teachers need to be aware. The ease of cheating using a smartphone adds a whole new dimension to the problem. (Birdsong, 2017) This site may give you a few ideas to put in place. It’s been a while! 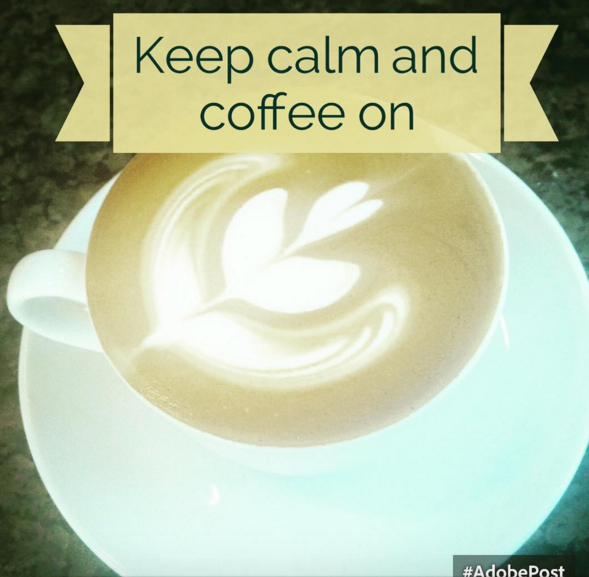 I’ve battled back and forth a while between various blogs…and which one to keep. As Educational Technologist of William Jessup University, I used this blog on a weekly (or more) basis. As a teacher, I used a different blog platform. Now, I will be starting a new journey of my life – school principal. Beginning this summer, I will start my next journey as a K-6 principal of a Christian school in the Sacramento area. Until it is formally announced at the school, I won’t reveal quite yet. But I can tell you – I am super excited! These past 2 years I have been working at a public, charter school. It’s highly ranked and I have to say, my students have been awesome! I have learned more at this school than I could have imagined. They are excellent with their collaborative processes, PBIS system, and PLN amongst teachers. However, growing up in Christian education and spending most of my career in this type of setting, I found myself longing to be back in Christian education. I love being able to pray with families and talk about God at school. Some decisions of the charter school ran contrary to the core of my own beliefs and this started my decision to head back to what I love. I know I will run into some trials with my new position. I am going from a 1:1 high tech school to one with very little technology. But this is okay! As much as I love technology, I have also seen its dark sides within the classroom. I hope to bring a healthy mix to my new position. Have any new principal apps you love and want to share with me? Send them my way! I hope to use a few new tools and will post about them shortly. In the meantime, I’d love to hear what you, my followers, are currently using. Make sure you enter the code START16 to get the discount. It starts the 20th and goes for 2 days only. Share this with your friends! I’m a small store so if you could follow me that would be great as well! Help spread the word! I decided recently to create something simply because it is something I want. Over Christmas I received 2 gifts I thoroughly enjoy – an adult coloring book that is filled with Bible verses and a “DoodleLit” book – doodles about literature! I love to journal, color, sketch, and draw. I also love planning out my classroom. So I thought – why not combine the two?Here it is! 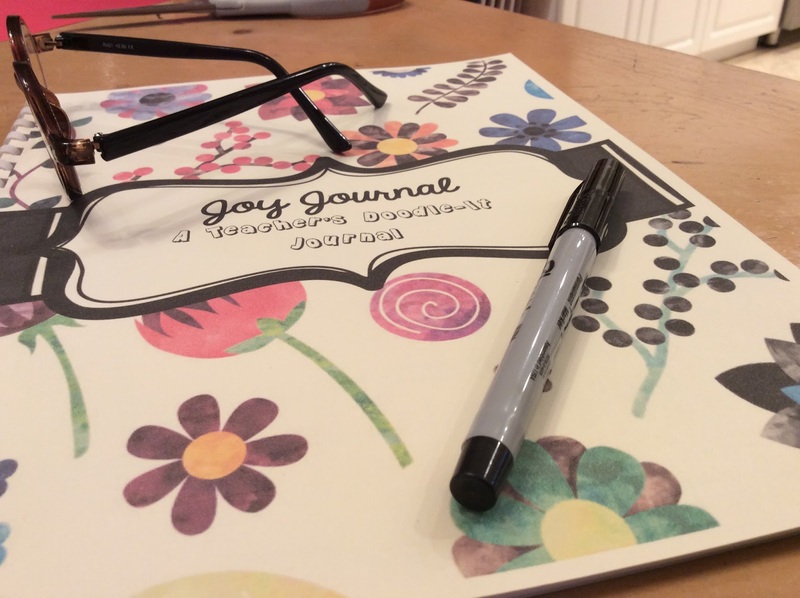 The Joy Journal – a Teacher’s Doodle it Journal! 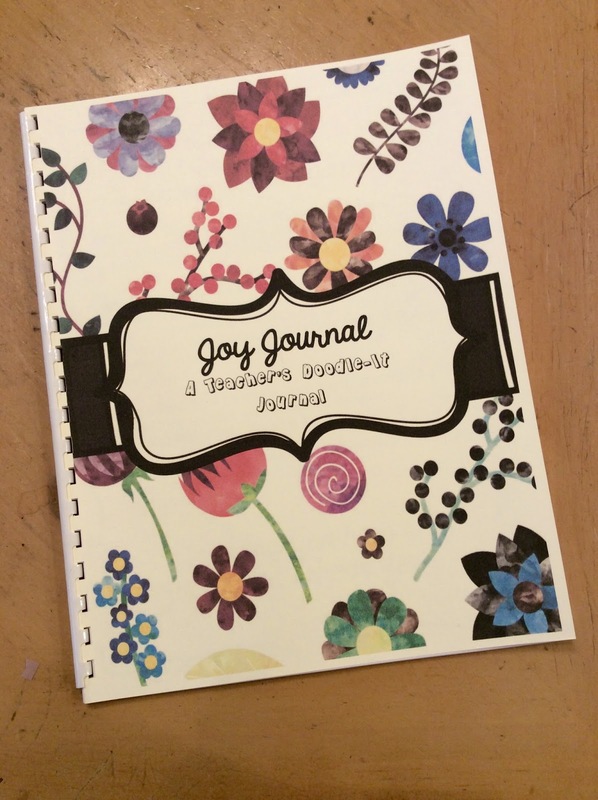 It has 35 pages of Bible verses, sketching/doodling pages for teachers, and reflection sheets. I printed one out myself and bound it with spiral binding so the pages are flat. I love it! Head on over to my TPT site to get one for yourself or a teacher friend! Student teachers – this is great for YOU as well! 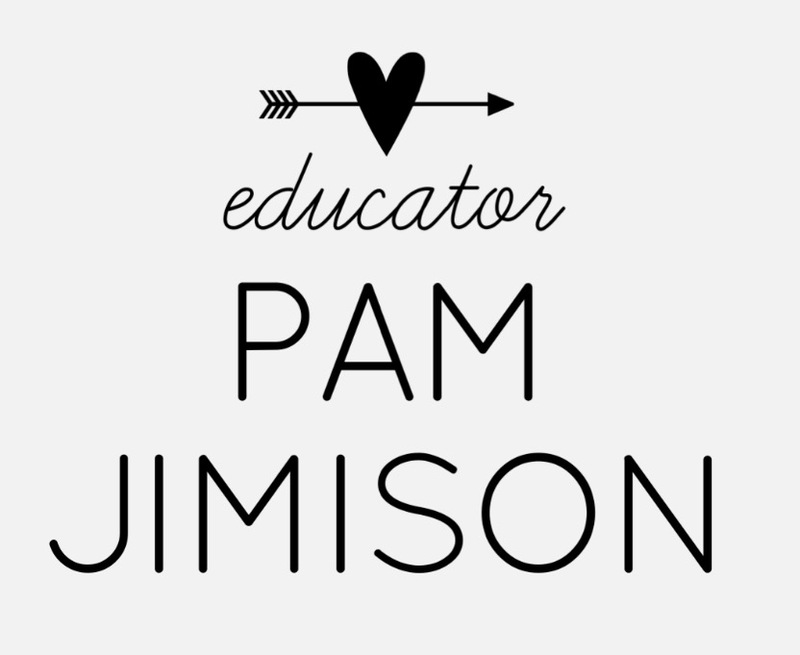 Okay – I am giving Teachers Pay Teachers a try! I’ve always loved curriculum. Yes, weird thing to say but true! I love clip art, post it notes, paper, pens, and planning lessons! So, I thought – why not try creating something for others as well?I’ve made 2 things so far and I am trying not to compare my work to others. But for those of you that know me, you know that I am a bit of a perfectionist and it is hard when there are SO many TALENTED teachers out there! This first one is tons of fun! 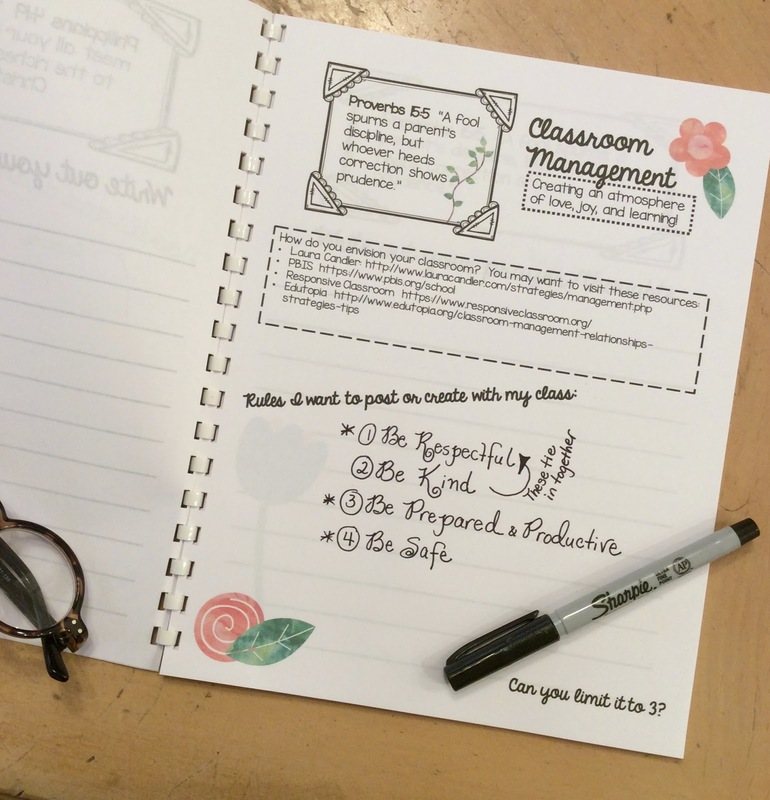 It is an interactive notebook to help students with new year goals. I usually have students create goals the beginning of a school year – but I know it’s also important to revisit those goals and write new ones as needed. My second product has to do with cursive writing. I love teaching cursive and to me it is not only a dying art, it is an important skill to learn. 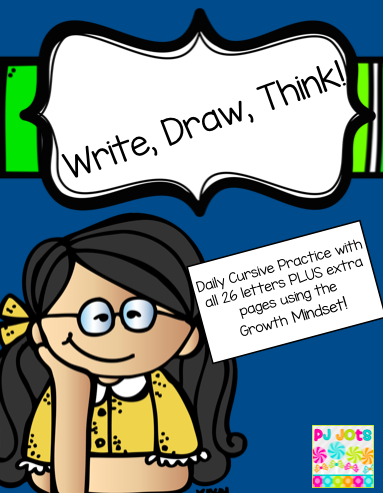 This resource is wonderful because students not only practice cursive skills, they think about new words and draw a picture to match! I added a space for self reflection on each page. I’ve noticed that without it, students tend to work too quickly and not check over work. I hope this will help! I need to get the word out there and what better way than to have a GIVEAWAY? I will give away free copies of each packet to the winner. Please enter below and share with your friends! Yep, I love my coffee! I enjoy writing but I realize that I am not the most skilled writer. So, I decided to visit Hemingway. Why not learn from an expert? Hemingway is a web site that will analyze your writing. Type whatever you desire into Hemingway, and it will highlight common errors, complex sentences, and even passive voice. Blue highlights are for adverbs, which should be used sparingly. Hover over purple highlights to see hints for a new word choice. One use of passive voice, one adverb, and one sentence that was deemed hard to read. Give Hemingway a visit! 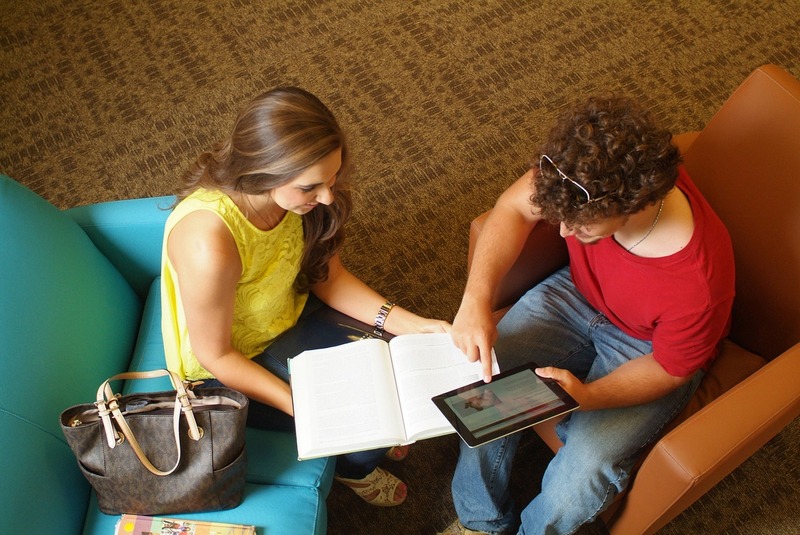 Are all college students digitally literate? The fact is, students are all different and come to us with different skill sets. Some students may enter the freshman year with tons of technology experience. Other students may have little to no experience. We often stereotype college students as digitally literate, but I have found that this simply isn’t true. And that surprised me! The first year I taught my college course, I “assumed” that the students were more digitally aware than they actually were. I thought they knew how to accurately cite sources, use APA formatting, create a Google Doc, create a video and a blog post. In fact, my first lesson required students to create a short 2-3 minute video introducing themselves to the class in a creative manner and then upload the video to the class blog to share. I had to step back and re-examine my assignments in light of my new discoveries regarding student culture. Although students may have a smartphone, tablet, and computer, it doesn’t mean they know how to effectively use them for education. Any technology assignment given should be scaffolded with easy, digestible steps and thoroughly explained. If you find that your students comprehend and understand quickly – great! Keep moving forward! If not, either teach your students what they need to know or provide them with the resources necessary to gather the information. I tell my students, “Google is your friend.” I say the same thing to you. Want to find extra resources for your students? Need to send them a video explaining APA formatting? Google it. I’m sure you’ll find one. Want your students to collaborate using Google Docs and don’t want to take the time to explain how in class? Google it. Google provides many great training videos. You can always use Screencast-o-matic or a similar program to record your own video for your students. Just remember, take the time to make sure your students know “how” if you are going to require technology with your assignment. Simply put, it is amazing. 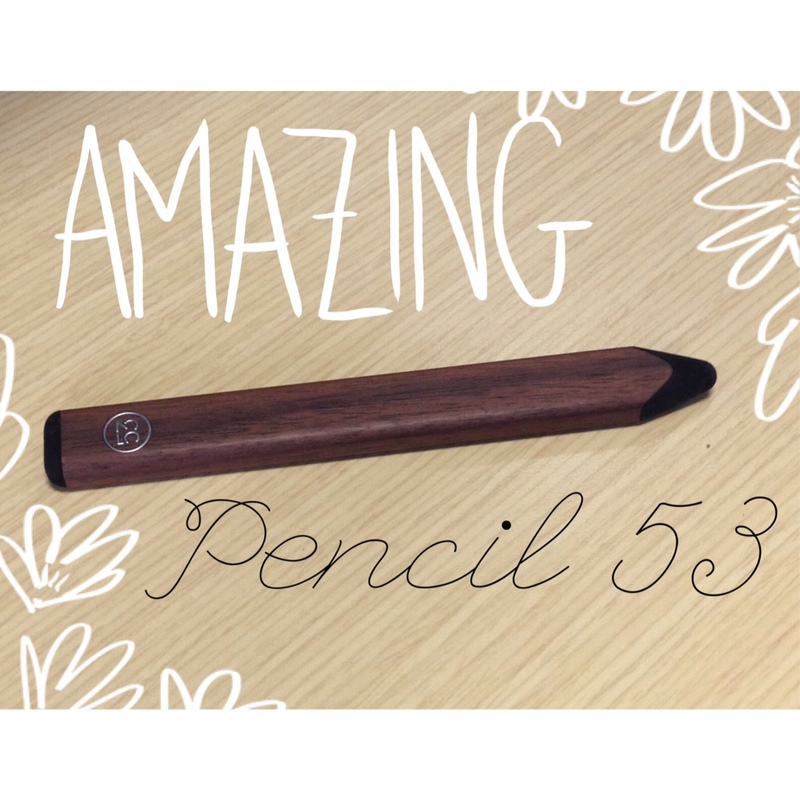 It feels and writes like a pencil (or pen, paintbrush, whatever you wish!). You can even use the eraser as…well…an eraser! 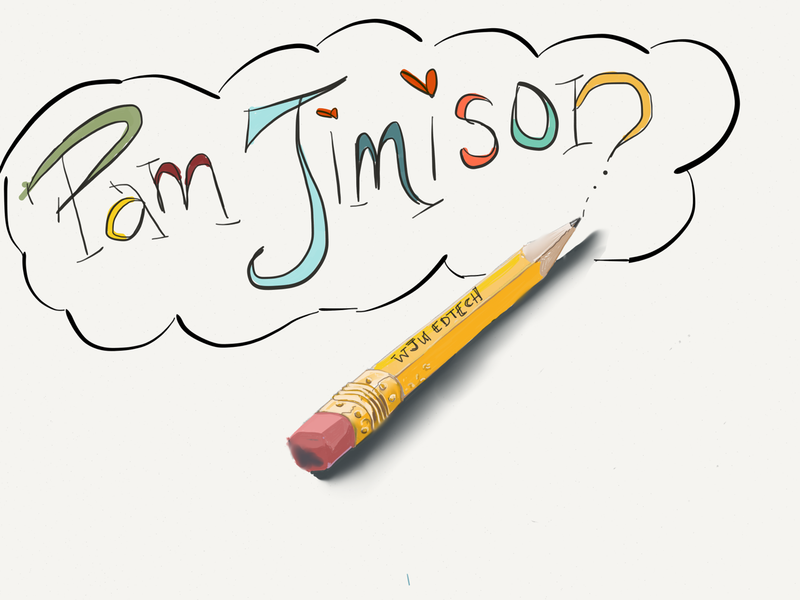 I have long been a fan of Paper by FiftyThree and this stylus is helping me enjoy it even more. Paper by FiftyThree now has Think Kit built right in – a simple tool for diagramming. What I enjoy, however, is the ability to remix. I love drawing and doodling, and remix allows a user to draw a picture and share it, OR remix something someone else has drawn and change it. Mix by FiftyThree is a great collaboration tool where users may “learn, sketch, play, write, design and think” with others. Click here to view a remix I enjoyed and be sure to click “replay” to view the original picture. Want to brand a custom logo or create an invitation? The Makr app makes it easy! This app was named “Best App of 2014” by Apple. 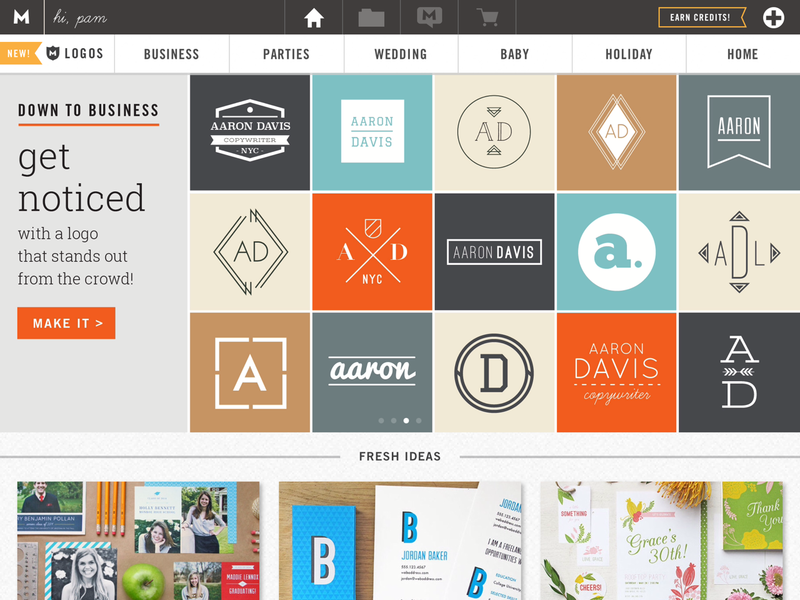 Design a logo from one of their templates or design choices, then apply directly to products for a one-of-a-kind look. Create business cards, wedding invitations, graduation announcements, custom t-shirts, stationery, or even a logo for your classroom web site. There are in-app purchases for paper products, or a small fee for the digital version. Paper by Fifty Three has made some great upgrades to their app. The drawing tools are amazing. What caught my eye this time was the Think Kit. 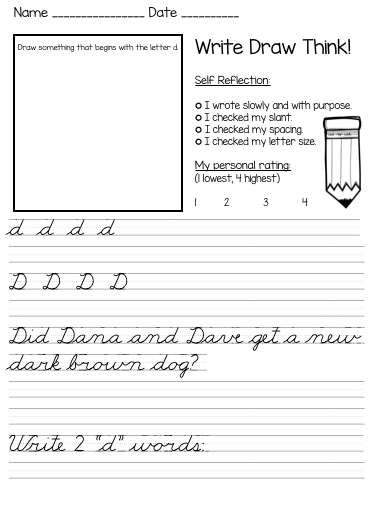 The Think Kit allows you to easily create graphic organizers – a wonderful tool for educators. Remember, whenever we use tools to CREATE, we are using higher order thinking skills. Consider how you could use these tools in your classroom to have students CREATE something to demonstrate their understanding! I have never been a runner. Many people think I am a runner simply because my daughter, Lauren, is an avid runner. She is an elite athlete with Asics and is training for the 2015 Olympic Trials in the Marathon. Read her blog here or visit her Asics profile here. But the truth is – I am not the runner in the family. 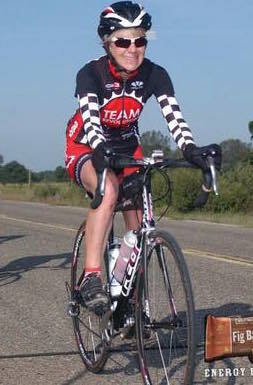 I love cycling, but not running. 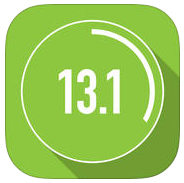 So…I have been testing out apps to help me with my half marathon training! I am sharing the information with you! 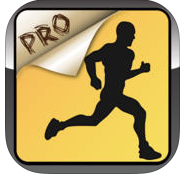 I started with the 1/2 Marathon Trainer Pro. This was listed in Apple’s “What’s Hot” and I suppose that is why I paid $9.99 for it. I thought for SURE it would spur me on. I have to say, I liked it for the first week. The music from my iPhone is built into the app so that was a nice feature. And, for the person who is not very athletic, this would be a great choice. It has a “run-walk” method that seems to be very popular. However, under closer examination, I realized that the run-walk method went all the way until the day of the half marathon where you would “run-walk” the half. I don’t want to do that. If I’m going to sign up to run it, I want to run it. I decided it wouldn’t prepare me enough and went searching for another app. 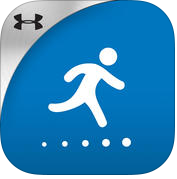 The next app I tried was MapMyRun Trainer. I admit – I’ve used it once…last night. It’s free (yay) and let’s you set the date goal (this was my favorite feature). I liked being able to let it know the date of the 1/2 Marathon so that I would be exactly prepared at the right date. But, I did have a little bit of a hard time last night seeing it through my arm band. The icons weren’t bright enough for my old eyes and I had to constantly take my phone out of the arm band to see where to push to begin the run. It didn’t “coach” me along like the 1/2 Marathon Trainer Pro above and I found that I missed that. I am familiar with MapMyRun and I did like that it gave me the distance…which the prior one also lacked. It only gave time. MapMyRun Trainer does train for running the whole event. I need a voice coaching me along so I decided to test out a different app. I decided to test out Run Training Pro. I did have to pay $2.99 for this one but hoped it would combine the best of the past two apps. It advertises that it shows the distance, has a run program, records the map, and will play music. However, this app greatly failed me. It wouldn’t show the run or distance, nor would it give coaching. The only function that seemed to work was playing music. I spent over an hour trying to look up tech support but their web site appeared to be outdated. After much research and viewing blog posts about the app not keeping up with updates, I decided that this company may not be keeping up with the current iOS. With no response to my tech support help request, I decided I was now out $2.99. I deleted it. My daughter came to the rescue with an online 1/2 marathon plan located HERE and HERE. The 20 week plan will work for me, yet I still really want someone to coach me through this – a virtual coach in an app! Yes, I need “someone” to urge me on as I run. 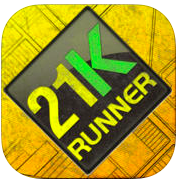 I downloaded the 21K Runner for $5.99 and decided it must be the one. With all these apps out there, there must be an app that does all I want it to do – right? By now I was an hour and a half late for running, so I turned the app on and prepared to run–when I was greeted with a message that warned me that in order to use the app properly, I needed to be able to run a 10k three times a week. Hmmm. Well, I pressed okay – knowing that I currently don’t run that far. (Uh, ever?) This is what the app gave me for my day 1 run – 5 min. warm up, 60 min. run, 5 min. cool down = 70 minutes. WHAT??? I knew then I couldn’t use this app – yet. Augh. I guess I should have noticed that it stated it was 10k to 21k. 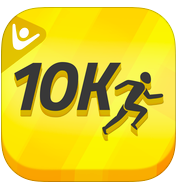 Going back inside, I downloaded the 10k Runner for $3.99. You can see by now that I have spent a lot of money on apps – which is why I am writing this article! I hope I will save someone some money. It does have an audio coach, music, and plan. The plan is walk/run – but it does end with running a 10k. I counted up my weeks before my 1/2 marathon and I have time to go through the whole 10k plan, then the 21k plan. I will finish just in time. It has motivational tips and images – and honestly, that’s what I need even if it is digital. I let you know I am not a “runner” but I am very determined to do this. If this app doesn’t work, I am going to scrap all of them and use Lauren’s paper version. No more $$ spent on apps I won’t use. Which, again, is why I would love your support. If I know that people are putting their support into this World Vision fundraiser, I will be more determined not to let anyone down and really follow through with it! Yes, I will try not to let myself down and drop out, but peer pressure will help! I hope I’ve saved you around $23. Would you consider donating it to my run with World Vision? CLICK HERE.